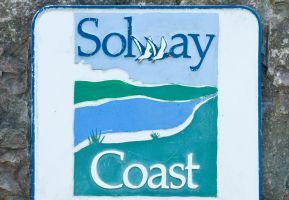 The Solway's outstanding landscapes, diverse habitats and rich heritage have a special character that is recognised as the Solway Coast AONB (Area of Outstanding Natural Beauty). Here the river Eden discharges its waters into the Solway Firth - a narrow estuary separating England and Scotland. The Victorian seaside town of Silloth is a popular destination for its leisurely atmosphere, seaside recreation and spectacular sunsets.